← Why did I stop being a kid? Baby Blanche, my future niece, should be arriving shortly. 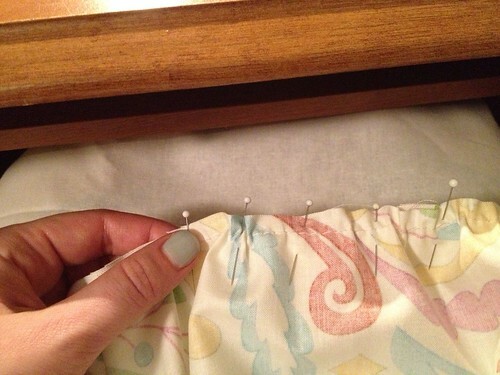 Her mother asked me to fashion a crib skirt for her new room in their brand new house. Since the house is brand new to them (closed today!) and they have a brand new baby arriving shortly, the green carpet and blue walls of Blanche’s room are staying for the time being. Margo wanted a simple gathered/ruffled look, but was having trouble finding what she wanted. It was hard to take a photo of the crib skirt since I don’t have a crib, so I used the banister. It will be sent off to Vermont once I can get to the post office. 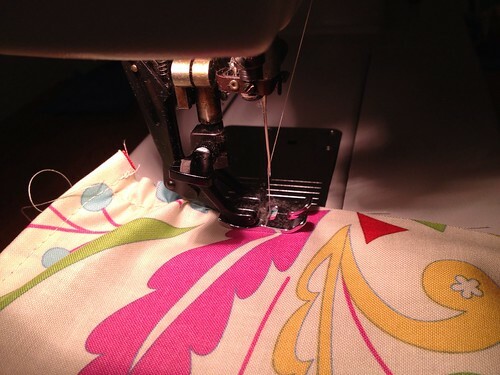 This entry was posted in Sewing and tagged Blanche, Crib Skirt, Hawthorne Threads. Bookmark the permalink. This is so pretty! 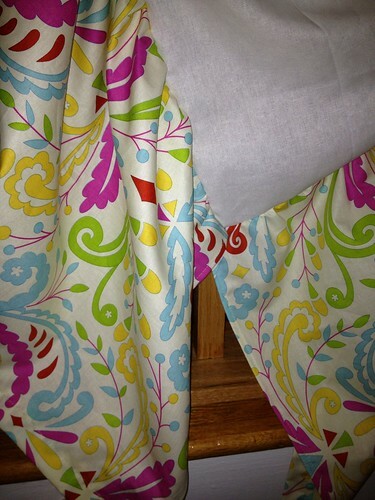 I love the fabric that Margo picked out and I’m sure Blanche will be adorable all snuggled up in her new crib.